"Where We Meet By Accident"
One of our trained service advisors will provide you with a detailed written estimate and description of the repairs. 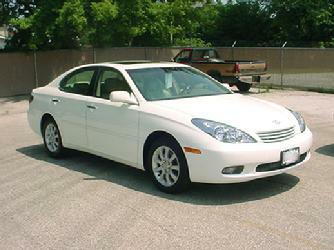 We will arrange the rental vehicle for you if you will be needing transportation while your vehicle is being repaired. We offer pickup and drop off service free of charge for those customers that do not need a rental. Rental vehicles are available thru Enterprise Rent-A-Car. Armando’s utilizes advanced frame dimensioning systems with computerized printouts to guarantee accurate repairs. Advanced PPG Envirobase Water based paint systems reduces volatile emissions by up to 80% and will ensure a superb color match and recapture the factory look of your vehicle. Your vehicle is washed, vacuumed and quality checked before delivery. From time to time we will call customers to make sure that their expectations were met and that they are completely satisfied with the repairs done to their vehicle. 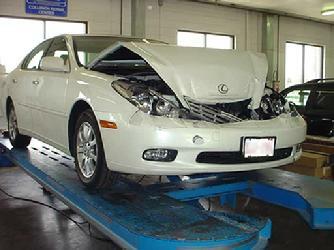 Armando’s guarantees all work and protects you with a Limited Lifetime Warranty on all performed collision repair work. If you expect the highest quality repairs and service for your vehicle and want the repairs completed by specialists in all aspects of collision repair, trust your vehicle to the trained professionals at Armando’s Collision Center. We never compromise on quality.